We have two options at the time of giving language classes: 1st ONLINE CLASSES If you are interested in learning Spanish as fast as you can, starting now, we are offering the option of studying Spanish with a native teacher via Skype, a headset and a webcam. We can start as soon as you want. The perfect schedule for us would be on Saturday mornings around 10.30 to 14.00 though that depends on the times you want, if this day is not a good one for you, you can email us the times you are available and see if we are free. People ordering our online classes have a special offer, a discount of 25 euros in the registration fee. Our prices are 14 euros per hour (our classes last one hour) and the only thing we need to know is the number of classes you want to book. The payment method is via PAYPAL and once we receive the payment we will start giving the classes. The only thing you need to have is an account with Skype (which is free) before booking a class, a headset and a webcam though this is optional. The material needed for the classes is included. 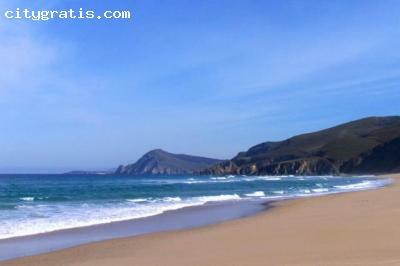 You could start learning Spanish with us with our online classes and once you are in Coruña you can come to our school. You will save 25 euros in the registration fee and you will be able to start your lessons as soon as you want. http://spanishcl assesonline.webs.com / 2nd CLASSES AT OUR SCHOOL Registration fee is 25 euros and the material is included. Price per hour is 14 euros and our classes last one hour.But if you want 4 hours a day, there is a discount of 14%, so the price would be 240? per week, for 20 individual classes. About the times and days, it is up to you. Once you are in Coruña you can tell us when you are available and we will let you know and give you all the information. Before starting any class, we always prepare a Spanish level test so as to know where to start with our students or what we need to focus on so that we can prepare the material and the class. We can send you this test by mail, once you confirm the course. Our teachers are Native and they are qualified to teach ELE (Español como Lengua Extranjera), Spanish as a foreign language.